Incorporating glass features in homes and offices continues to be a popular design choice. You may be inclined to think that glass can be limiting because it doesn’t afford privacy, but we have a solution to that! 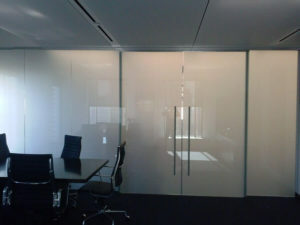 Switchable glass is just what is sounds like – glass that can switch from transparent to opaque, depending on your needs. And switchable glass is becoming increasingly popular for home and office uses. There are so many options for switchable glass. Open floor concepts are a popular trend in office spaces, and glass walls can facilitate private meeting spaces while maintaining that openness. 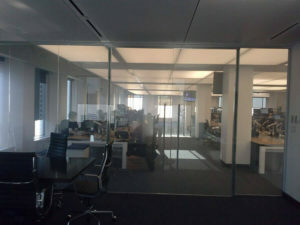 Switchable glass can block out distractions and allow for private meetings spaces on demand. Permanent glass walls can switch from transparent to opaque on demand, or opaque sliding doors can create temporary private spaces. Laminated glass can create privacy for showers and bathrooms with the touch of a switch. The waterproof glass easily transforms from transparent to opaque for personal use while not altering the design of the space. 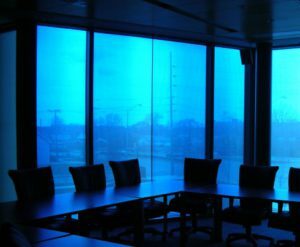 Other options for switchable glass include sunlight responsive self-tinting glass and exterior glass that tints on demand for residential or commercial doors and windows. This provides design versatility while allowing you to control light and reduce energy use. Quality Glass is proud to partner with Innovative Glass Corporation to provide you with a wide variety of switchable glass to meet your needs! If you would like to learn more about incorporating switchable glass into your commercial and residential design, call Quality Glass today!